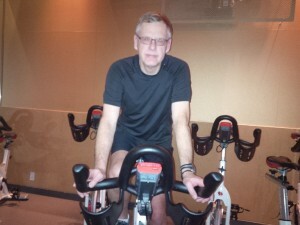 Since last year Norm Jarus has been looking forward to the chance to participate in the Wellspring Ride for Cancer support. A longtime Wellspring supporter, Norm’s late wife Julie-Anne used Wellspring services while she was going through treatment throughout her cancer journey. Julie-Anne took all four levels of the Healing Journey, which gave her the ability to adopt a mindfulness approach everyday and allowed her to cope with the stress that accompanies a cancer diagnosis. “I feel that it was instrumental in bringing peace and sanctuary to what turned out to be her remaining four years,” says Norm. Norm says that Wellspring helped Julie to clear her mind and focus on her real passion: writing. This year’s Peloton challenge will take the team from Toronto to Miami, a journey of over 3000 km. They will ride upwards of 120 km per day, but Norm is undaunted by the physical challenge. Norm says that one of the things that gives him confidence is the support system Wellspring has put in place for the riders. He has already started the training classes offered at the Toronto Athletic Club, and plans to use the Wellspring recommended training program. He also has a network of friends to help him along. “Fortunately I’ve got a really good friend out west who’s a big mountain biker, and friends in the city who ride every day, so I have a group of people who can support me and help me train,” he says. 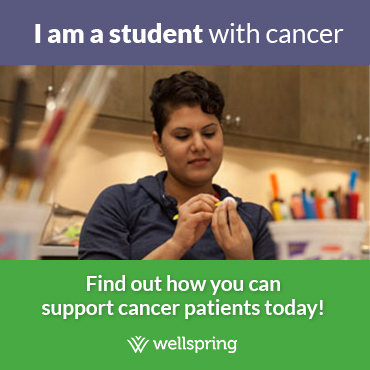 The ride is a chance to raise money for Wellspring to help those living with cancer, but it is also an experience that creates a lifelong bond between the riders who share a common experience and a single goal.